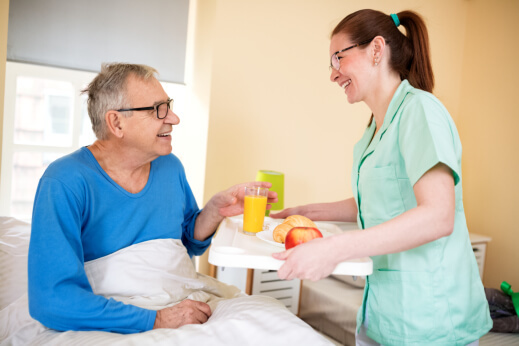 With the various agencies that provide home care in Bala Cynwyd, Pennsylvania, the duties of a caregiver vary with a different set of tasks every day, but still, there are some basic duties that they perform every day when caring for seniors. One of the basic duties of a caregiver is to assist the patients with their medical needs. When the caregiver’s patients have a prescription medication or if they need help with pain management, a responsible caregiver will meet with a doctor who will help them assess their patient’s medical needs. One of our goals is to provide excellent medical service in Pennsylvania. A caregiver always assists seniors with their basic needs which include bathing, grooming, and toileting. Another duty of a caregiver is to serve as a companion to seniors. When accompanying seniors, you focus on how rewarding it is to care for them and know how thankful they are to have you. In this way, you get to enjoy your journey as a caregiver and not think of the burden of it. Family caregivers can take advantage of respite care in which caregivers can serve as a companion to seniors while they are out. As we get old, maintaining the cleanliness of our home takes more time. Hence, caregivers are there to provide assistance to seniors by doing dishes, taking out the garbage, or simply vacuuming. Preparing a care plan that addresses seniors’ strengths and weaknesses is a necessary thing to do in caregiving. It will determine how much time of care your seniors need in a day. Aside from the duties mentioned above, caregivers also monitor seniors’ medication and performance, prepare meals, transfer, and transport. MOG Home Health Care Services is a provider of top-caliber caregivers to your home. This entry was posted in Home Care and tagged caregiver, medical service, respite care. Bookmark the permalink.